Flexibility in terms of covers, guarantees and sums insured, which adapt to your needs. Free choice of a physician for health care expenses due to accident. Progressive formulas for permanent disability at 225" or 350%. Permanent Disbility due to a traffic accident. For accidents suffered by the insured, both while carrying out his/her regular occupation and in his/her private life. Accidents suffered by the insured while performing his/her regular occupation. 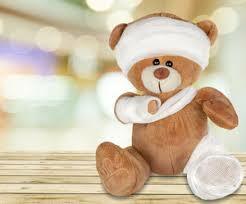 Accidents suffered by the insured in his/her private life.